The eco energy plus UPVC window meets the requirements of British Standard BS 7950 for window high security and is licensed by Secured by Design. 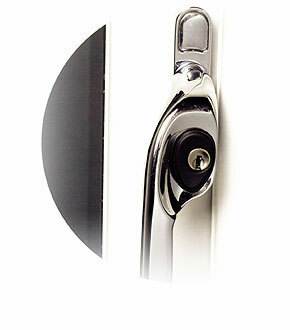 The eco energy plus UPVC window features exceptional security through bi-directional shoot bolts. Stainless steel shootbolt rods are used for high corrosion resistance. The eco energy plus UPVC window has SYLON composite locking keeps - which are secure, durable, and stops cold transfer from outside to inside.